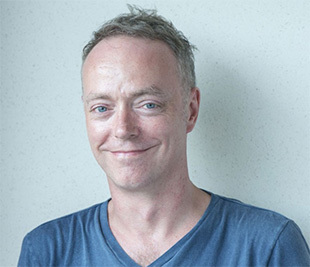 English musician Andrew “Plug” Lazonby arrived in Japan over a decade ago to work for a music publisher. Sensing a need for a more personal approach to Japan for Western bands than was available, he and a hardworking crew launched Hostess out of a small wooden house near Meguro. Hostess is now one of Japan’s premier purveyors of independent music, handling releases of the likes of Radiohead in Japan. Metropolis talked to Lazonby ahead of his outfit’s thrice-yearly tune-fest Hostess Weekender. What has changed, and what has stayed the same in Weekender’s approach? The format – 10 bands, 2 days, 1 stage, and the broad spread programming-wise of amazing music has remained constant. The ticket prices have remained constant (and great value). The attention to detail both backstage in production and out-front in terms of the fan experience continue to gradually evolve—we make the show with us as fans in mind, so it has a little more than the usual club show, all aimed to make the process of getting lost in music a bit more fun. What are Japanese music fans liking in the Hostess catalog at present? We’ve had a nice year for music: from established hits by Atoms for Peace, Vampire Weekend, The National, Queens of the Stone Age, Nick Cave & the Bad Seeds, Sigur Ros, Franz Ferdinand, Travis, Four Tet and the rock album of the year by Arctic Monkeys, to great new works from Chvrches, Savages, Darkside, Daughter, Palma Violets, Omar Souleyman, King Krule and the emerging breakthrough band for 2014, Temples. That’s the tip of the iceberg, another decent year for us to be doing what we do. People talk about an excess of music festivals in Japan. Thoughts? I think Fuji and Summersonic have their place, rightly so. Fuji as the rock festival, and Summersonic for the more pop-leaning audience. We continue to have lots of artists performing at both. The reason for HCW and reason why it stands apart from the rest though is it really being an enhanced club show experience rather than a festival. Festivals have multiple stages so you can drift from hit to hit if you so chose, without ever necessarily having to really engage deep with any particular show, whereas with HCW it’s about going headfirst all in to a relationship with each artist, for their whole performance, then having time to come down, eat, drink, meet friends, meet artists, browse and buy very affordable music at the well stocked and plentifully staffed Hostess Club shop…. then get ready for the next show. The space in between is crucial if real music engagement is going to happen. Where do you see Western rock’s fortunes heading in Japan? I’ve been reading a lot about it being dead in the water! The need to present everything as J-pop… I even read somewhere that the reason One Direction took a while to get off the ground in Japan was the market not having matured enough! Whatever that means. I can assure you it’s absolutely fine where we are. Like the constantly growing audience who subscribe to HCW, we have a thing for musical integrity, we believe in it, and it drives us day by day—the view from where we all stand together is pretty good. 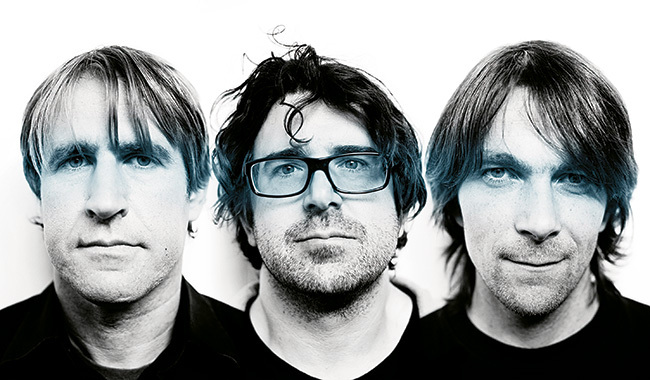 With long-serving US indie-rock outfit Sebadoh, what you see—and hear—is what you get. Where Barlow played the foil to Mascis in Dinosaur Jr., with Sebadoh, it’s all Barlow and co-leader Eric Gaffney. The pair formed the band in 1986, later filling out the lineup with drummer Jason Loewenstein. Barlow and Gaffney’s songs have a less choked atmosphere than Mascis’s, but they remain quintessentially indie rock in flavor. Barely tuneful vocals are mumbled under grinding guitars—the ability to emote, rather than play a solo or pen a clever song, is the goal. After releasing a few of lo-fi indie rock’s more influential albums (Weed Forestin’, Bakesale) in the late ’80s and ’90s, Sebadoh (a nonsense word coined by Barlow) went quiescent for a while. Barlow mended fences with Mascis for the 2005 Dinosaur Jr. reunion, and Gaffney had his solo project. But Barlow and Gaffney went out on tour together again in 2007, even visiting Japan a few years later for a gig at O-West in Shibuya. The groundwork was set for their first recording in 14 years.